Built for a Rebrick contest, Anthony Wilson has found a way to make Nexo Knights cool (which I didn't think was entirely possible until now). Just look at this sculpture...it's absolute menacing, fun, and creative all at the same time. (Didn't think that was possible either.) 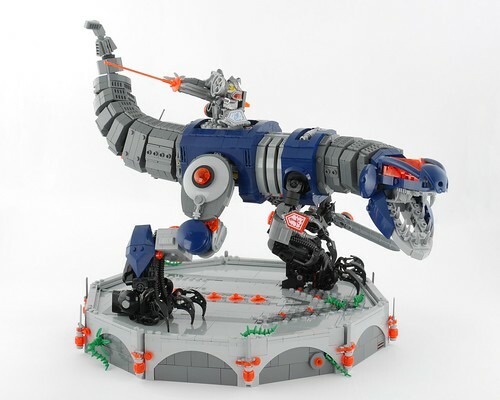 I really like the design of this robotic dinosaur, with a very sleek and efficient concept throughout its design. Even the display base is worth mentioning, which is truly the finishing touch that this model needed. Excellent work! I hope to see more Nexo Knight builds like this in the future.